When the FDA is in charge of the market you’re launching your new Life Sciences product into, patient and customer safety extends far beyond company guidelines. They set the standards for thresholds and validation of your business systems including security, manufacturing, quality controls, audit trails, and overall Good Informatics Practices. You hope the day never comes where your product has quality issues or has some adverse effect, but you can’t be any too careful to ensure you have the right tools to minimize the impact on the patients or customers. It also makes good business sense to understand the quality of products that are going to the customer in order to make improvements to future products. There aren’t too many industries where change is so rapid or control of ‘spend’ is more important than in the Life Sciences industry. Therefore, you need a system that can give you the right information at the right time through powerful reporting tools. Access to funds isn’t quite as easy as it once was, and a significant amount of funding is needed to support R&D efforts for the creation of the next big drug or device. Therefore, you need a system that can monitor the ‘spend’ to vendors and provide visibility into day to day expenses. The big day comes with approval of your new drug or device and now you need to ramp up sales, production, and fulfillment. This needs to happen yesterday and you need a system that can support the many processes that come with the product going to market including; manufacturing (or integration to manufacturer), 3PL integration, sales and marketing, production planning and quality management. 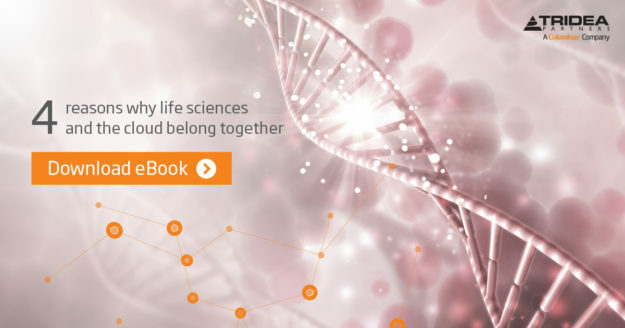 Visit https://www.columbusglobal.com/en-us/resources/landing-pages/us/tridea-lifesciences-erp/infographic to learn more about ERP software for life sciences. Pharmaceutical manufacturers that are looking to implement a new ERP system will invariably ask about options for meeting requirements of the Sunshine Act, which was enacted to protect consumers by ensuring transparency in the reporting of financial relationships between pharmaceutical companies and health care providers (HCPs). While pharmaceutical companies generally purchase a software system specifically designed to track their aggregate spending to HCPs, the ERP system generates much of the information that is fed into the aggregate spend system. Vendors that are HCPs are defined as such in the ERP system. Any expenses that are booked in the ERP system directly to HCP vendors are pushed to the aggregate spend system via an integration. Typically, a relatively small number of HCPs become direct vendors in the ERP system. The process of setting up new vendors is generally a highly controlled process that lends itself to accurately defining and identifying an HCP. Employees of the pharmaceutical company meet with HCPs and incur expenses that need to be reimbursed to them by the company. Assuming the company has an expense reimbursement system (such as Concur, for example), the expense reimbursement software generally just feeds the core accounting (general ledger) data to the ERP system, and sends the HCP spend information directly to the aggregate spend software. It is therefore necessary to have the HCPs defined in the expense reimbursement system, but the ERP system is not involved in this process. HCPs that benefit from expenses incurred with 3rd parties can be very large in quantity. Ensuring that the correct HCP is selected and linked to an expense can be difficult, especially when many health care providers may have similar names (or even the same names). In such cases, AP clerks that have no direct knowledge of the circumstances surrounding the expense could have a difficult time selecting the correct HCP. Aggregate spend software systems typically have matching algorithms to accurately identify HCPs. Tridea Partners helps companies unlock the value of their business applications. By engaging Tridea Partners, you gain a partner that is committed to your business success. We work with you to automate your company’s unique business processes, integrate existing systems and people, assist with necessary business practice adjustments, and ensure the solution will scale with your company’s growth. Personnel: Tridea Partners focuses on hiring consultants with deep experience in the Life Sciences industry and has gained extensive experience through the completion of over 100 ERP implementations in the industry. Solutions: Tridea Partners has developed custom software solutions that enhance and extend Microsoft Dynamics ERP to support the needs of the Life Sciences industry, specifically project accounting, quality assurance and order entry. Implementation Methodology: Tridea Partners uses an implementation methodology that addresses the challenges within the Life Sciences industry. This implementation methodology focuses around a detailed understanding of key business processes, segregation of duties, security and audit trails, collaborative configuration, sign-off and finally testing and system validation. The possibilities are really endless in the Life Sciences Industry with products created every day that are changing lives for the better. That’s a lot of weight for one industry’s shoulders and without a comprehensive Enterprise Resource Planning (ERP) solution in place, it’s easy to lose sight of these important end goals. Time-to-market and profitability pressures are also more intense than ever before. Life Sciences organizations need to balance the manufacturing of existing products as well as the creation of entirely new products against the demands of the market today. Discover how your research teams can have intuitive tracking and management tools right at their fingertips. 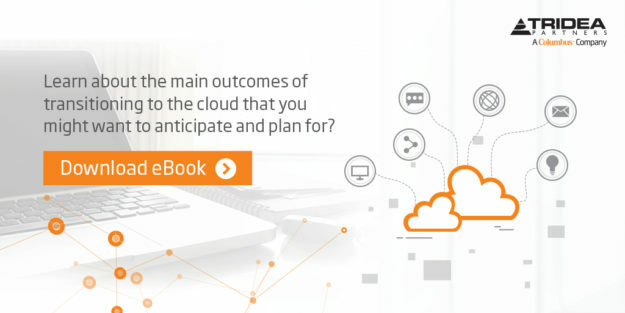 Discover how you can have real-time access to production processes and overall business operations to ensure development goes smoothly and issues are addressed before they cause major problems. Discover how you can be sure the appropriate controls, audit trails, security, and documentation requirements are met for today’s regulated environment. Discover how you can have proper project accounting and advanced requisition systems in place to control project costs. Microsoft Dynamics ERP provides rich functionality to support production and commercialization processes. Microsoft Dynamics ERP automatically documents and captures how a given business process is transacted in the ERP system, supporting key compliance requirements for the FDA including 21 CFR Part 11, Standard Operating Procedures (SOPs) and Good Manufacturing Practices (GMPs). Microsoft Dynamics ERP supports serial/lot control, quality assurance, system validation, and requisition management (including ‘Punch Out’ to lab vendors). Microsoft Dynamics ERP breaks out cost allocations for projects. Microsoft Dynamics ERP enables you to improve product quality and safety, reduce organizational risk, and increase customer satisfaction through controlled document management, audit trails, and electronic signatures. Why Microsoft Dynamics and Tridea Partners?